The styling definitely puts it back in the mainstream. Very promising. Lets hope better stuff is under the hood, too. Looks like it's holding onto the two grille face that has never looked quite right. I'd rather have the Traverse's face. Chevrolet needs to give up trying to make the Malibu something they can't when going against competitors (which is surprising because they've been able to turn around many other models). Either that, or go the way of the Cavalier and give it a totally new name (Cruze) and image. But seriously, the Malibu would easily be the last car I consider in that segment. I agree, too. I think they need to retire "Malibu" and try something else. 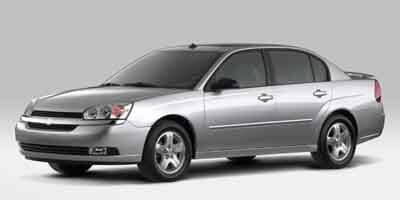 Why do people say the Malibu is so bad that it's going to burst into flames if when you drive off the lot? The Malibu's real problem is it's lack of space. Otherwise, it's fine. It's got good ride quality, competitive engines, and an interior that's near top of the class. I agree. The Malibu itself is not a poor product. There are flaws, yes (interior space is one). In fact, I think it's a good looking car, the reviews I've seen say it's a good riding car and overall it's fairly decent. However, the Mazda 6, Ford Fusion and Optima are FANTASTIC looking cars and have universally praised ride / handling (ex the Optima which is a bit too german for some in the ride department). The Accord (which took sales champ this month) is positively huge inside. And the aforementioned cars offer stellar value, impressive reliability and great fuel economy. Add into the mix the likes of the NEW 200 (which by all metrics is a great car), Camry (which gets by on a dated reputation - but they're trying for looks this year), Sonata and even the Altima - you've got a competitive market of great or exceptional products. Good and decent is not good enough. Multiply this misnomer of poor quality perceptions at GM; I can see why it's not a better selling car. The problem isn't necessarily that the current Malibu is bad, it's that each generation has been mediocre or an also-ran at best. They need to just replace it with something fresh so that they can hit the reset button. The Cruze has done well and is already a pretty well-recognized nameplate, even though it's only on its first generation. It was a good move to drop Cobalt and start again, even though (at the time) the Cobalt itself wasn't a "bad" car based on the competition at the time. compared to the current or last generation. Last edited by pjl35; 09-04-2014 at 10:40 PM. So do I, but I'm old enough to remember as a boy the great Malibus of the sixties and early seventies. After the two dreadful Malibus above, Chevy put out a very competent replacement, but quickly replaced that Malibu with the current crapstorm. Having driven every sedan in this segment prior to leasing my Fusion, I would say that no sane customer would thing the Malibu is best in class. I'd go for a class-leading design and maybe resurrect the CHevelle or Nova name.